Taking children to get their vaccination shots is never a pleasant task, but one that will certainly benefit them later on in life . If you are an expecting mom, or are planning to start a family, then it is important for you to understand this disease as it pertains to pregnancy and women. If as a child you once developed chicken pox, then it is safe to conclude that you will not have another bout of chicken pox in your later years. However, the virus that caused chicken pox in you, is also the very same virus that can cause Shingles, also known as Herpes Zoster in your later years. The name of the virus is varicella zoster and develops into Shingles which is a very painful viral infection mostly occurring in elderly people, and is rare among pregnant women. The characteristic feature of the disease is the distinct band of rash that is the main identifying feature of the disease. Thankfully, for the majority of cases of pregnant women who develop shingles, the treatment during and post illness is almost always positive. If you as the expecting mother ever contracted chicken pox in your childhood then you already have the varicella virus living in you in an inactive sleeping form. You were completely cured off the chicken pox, but the disease causing agent wasn’t completely dealt with, and a few viruses remained in the body, living in the nerve tissue of your body. Now, this virus can do you no harm so long as your body’s immune system is working normally. However, if your body’s immune system becomes compromised for any reason whether medical related or otherwise, then the chances of this virus re-awakening and causing problems is a possibility. Illness and any immune-suppressive medication, severe stress in pregnant women will definitely lead to weakened immune systems. This is even more so in pregnancy because your body is already doing double the work to ensure that you and baby are kept from catching any diseases on a day to day basis. On the other hand, if you have never had a chicken pox bout, and you find yourself pregnant now, then you are a high candidate of catching the varicella virus and suffering from chicken pox for some time. If you have never been vaccinated against chicken pox, and you find yourself in contact with a person suffering from Shingles in its contagious phase, then you may contract the virus if you come into direct contact with any of the person’s bodily rash discharges. Now, you will not develop shingles immediately. The more likely option is that you will develop chicken pox, which if you are pregnant will need to be monitored carefully as it can also harm baby. If you are pregnant and you have never had chicken pox and are scared of contracting it, then before you take a vaccination shot, consult with your physician first to make sure that you and the baby will be ok. But perhaps, you are already worried that you may be developing shingles. Here are some of the common symptoms to help you verify and help you get help. Shingles develops in a series of stages, with each stage progressively leading to more acute symptoms . In the early stages of the disease, the general characters can be misdiagnosed because they are such common characteristics for other maladies as well. Light headaches, which can progressively become mild and then aggressive; numbness and loss of feeling in the body; pain that comes sporadically in bursts or in pin prick form are just the beginning. Unusual sensations such as incessant itching and tingling feelings start all over the body. Tenderness and swelling in the areas around the nerves is also observed. This tenderness results in extreme pain which can make moving around difficult. Most people that go to see the doctor around this time, say that it is the extreme pain that causes them to seek medical attention. These symptoms can be accompanied by mild to severe fevers in some people. Pregnant women may feel more nauseous than usual, experience diarrhea and have difficulty passing urine. If the virus spreads to the mouth area, it can affect several of the buccal organs including the tongue, and even start affecting the respiratory tract area such as the pharynx. Infection in this part of the body may result in the change in voice, bring about hoarseness and in extremely rare cases some patients can encounter a temporary loss of the voice. The third and often tell tale stage of shingles is the sudden development of a rash or cluster of blisters in one area of the body, usually around the torso area, the neck, and face area. Around the face, the rash can spread to the mouth, the nose, the eyes, and even the ears. The blisters are fluid filled vesicles that are unbearably painful. The lesions can burst leading to the erosion of the surrounding tissue area, leaving scarring. What distinguishes this rash from regular rashes is the banding pattern and distribution pattern over the body of the rash. The blisters tend to form on only one half of the body and do not seem to spread to the other side. The rash may disappear but the skin pigmentation may become affected in the area that the rash was on. Scarring is an unpleasant side effect that often accompanies the blistering of the rash. To reduce the scarring, try not to touch and scratch the blistered area no matter how itchy the area gets. Resist the urge. It is important to keep the blistered area clean because any dirt accumulating in the area can attract bacteria leading to yet another complication and this can significantly hinder the healing process. Nerve pain is a common after effect, but tends to affect the elderly more than other people who develop shingles. This condition is known as post-herpetic neuralgia and only about a fifth of people who develop shingles ever suffer from it. The pain does heal, and will generally go away by month four since the first appearance of the rash. Facial paralysis and the gradual loss of vision that can lead to blindness later on it life are some of the after effects of Shingles. It is rare, but there are cases when shingles spreads to the brain (encephalitis) and the spinal cord resulting in strokes or meningitis. Shingles can become a dangerous disease if treated lightly. If shingles gets into the ears then it can also result in the damage of your ears. But in general after a week to ten days, the blisters will begin to dry and scabs form . The healing process has begun and you know that you are clear and out of the danger zone. Being pregnant is a very delicate state of being so the minute you suspect you might have shingles the best way to confirm is to go see your health care physician. If you cannot remember ever having had chicken pox, or cannot remember if you received a vaccine shot as a child, and you have been in direct contact with someone who was suffering from shingles during the blister phase (the most contagious stage) then be sure to go see your doctor immediately. Your doctor will check your history against your current symptoms, and take tissue samples for testing at the laboratories. Once the results are back from the lab, the doctor will be able to make a more informed decision as to the way forward regarding treatment if there is need. Shingles treatments should be followed according to the doctor’s prescription. Medication should never be taken without prior consultation with a primary health care provider or your doctor at least. The objective of the shingles treatment is to lessen the time frame of the disease and to reduce the pain associated with the illness. Severe pain is the most commonly treated symptom of shingles, with either over the counter painkillers or prescribed painkillers being the option. Normal analgesics will do the job, but sometimes stronger opiates such as morphine are required. Medication to check with your physician before using includes the OTC analgesic acetaminophen and NSAIDS (which are generally discouraged towards the late trimesters of pregnancy). If the doctor sees it fit, he or she may even prescribe antiviral drugs such as acyclovir and the newer valacyclovir. These drugs are taken one time a day in most cases, but you should always adhere to what your doctor recommends. For patients who might likely suffer a second bout of shingles, the dosage of antivirals recommended can be higher. In this way, you are guaranteed safety during your pregnancy. The use of cold and wet compresses and cool baths such as oatmeal to soothe the itching and relieve blisters. Always change the gauze bandages that cover your blisters on a daily basis to ensure no further problems like infection with bacteria. Using calamine lotion on the affected area is also a popular way of lessening the itching. And finally, try and wear loose clothes that allow for good aeration. Of the one million cases of Shingles reported on an annual basis in the US, more than half of them are in people older than 55 years of age . The disease is more prevalent amongst the elderly with some rare cases in pregnant women. So to be on the safe side, you need to check if you ever had chicken pox or received a chicken pox vaccine. If you did then you could develop shingles, the only way to prevent this from happening is to make sure that you keep your immune system healthy and working properly. If you had chicken pox in the past and you meet someone suffering from Shingles then you are not at risk. If you have never had chicken pox then YES you should be worried, but not about shingles, but about contracting the virus that may lead to you developing chicken pox. 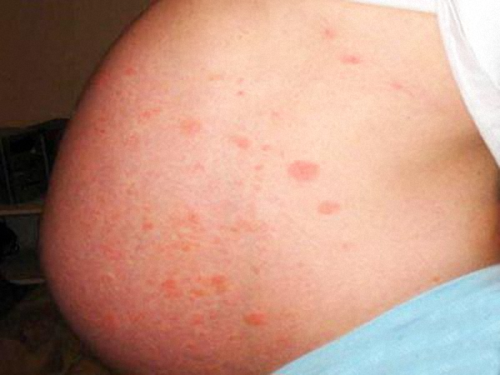 Chicken pox in a pregnant woman will not only affect you but your baby as well. You risk infecting the baby with chicken pox, and the baby may suffer birth abnormalities as result. Shingles too could pose a threat to the baby, but doctors confer that the risk is not as grave as with chicken pox. There is a vaccine that you can get that significantly reduces your risk of catching the zoster virus, but aim to get this vaccine prior to getting pregnant. Once you get the vaccine, wait at least three to six months before trying to get pregnant. 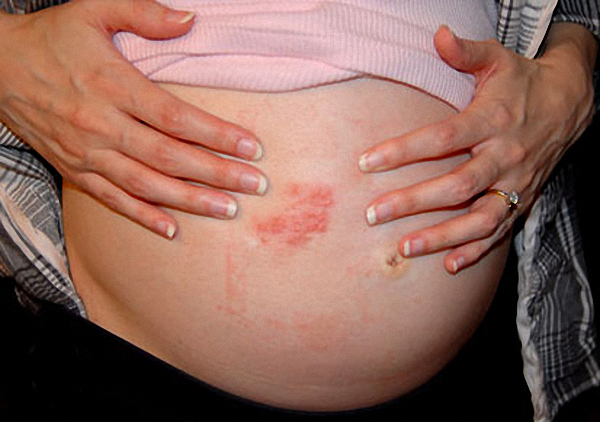 Shingles in pregnancy is not something to worry about because in general the incidence is very low. But just to be on the safe side, if you are planning to get pregnant, and are not sure if you have ever had chicken pox or not, then consult with your doctor first and see if you can get the vaccine prior to falling pregnant. If you are already pregnant and you are sure you once had chicken pox, then the best way is to not worry about getting shingles but simply focussing on your own health and making sure you are taking the best care possible to safeguard your immune system. A healthy immune system will fight off any attack by the virus and will keep you and your baby safe. In case you do feel uncertain, then feel free to have your doctor run tests to check your blood to see if you have immunity against the virus or to check whether you might be coming down with shingles . Early detection will ensure the best treatment and a faster recovery period for you and will greatly reduce the chance of developing further complications.